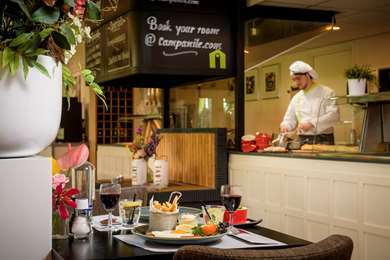 Campanile Hotel Gouda is a 3-star hotel right in the middle of the ‘green heart’ of Holland and the Randstad conurbation. The hotel has 78 well-maintained rooms each with a luxury flat-screen TV, a bathroom with bath/shower combination and coffee and tea-making facilities. You can enjoy a delicious breakfast buffet, a leisurely lunch or an à la carte dinner in the restaurant. 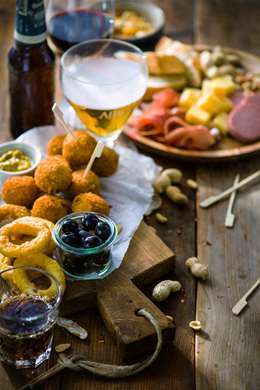 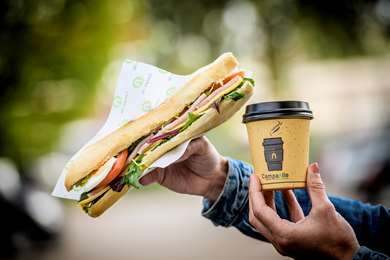 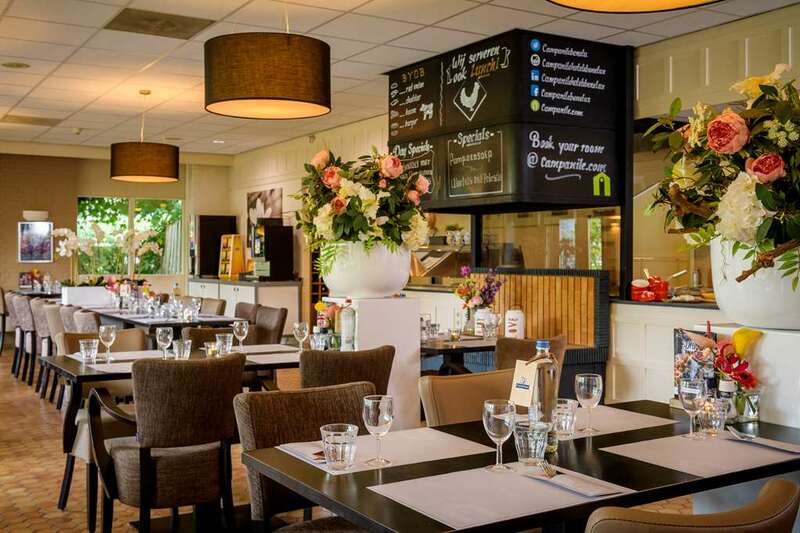 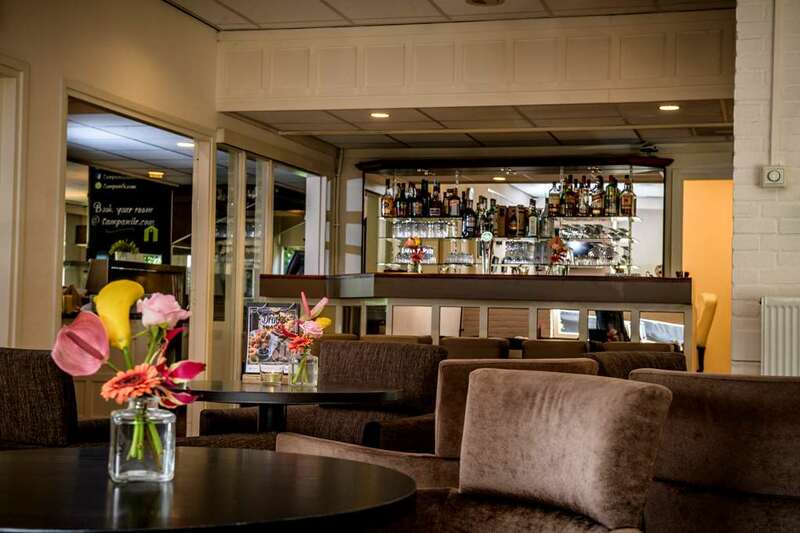 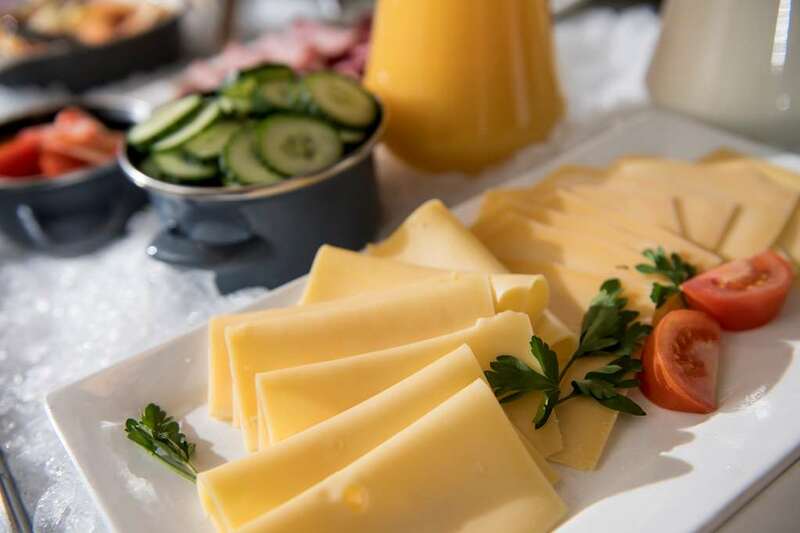 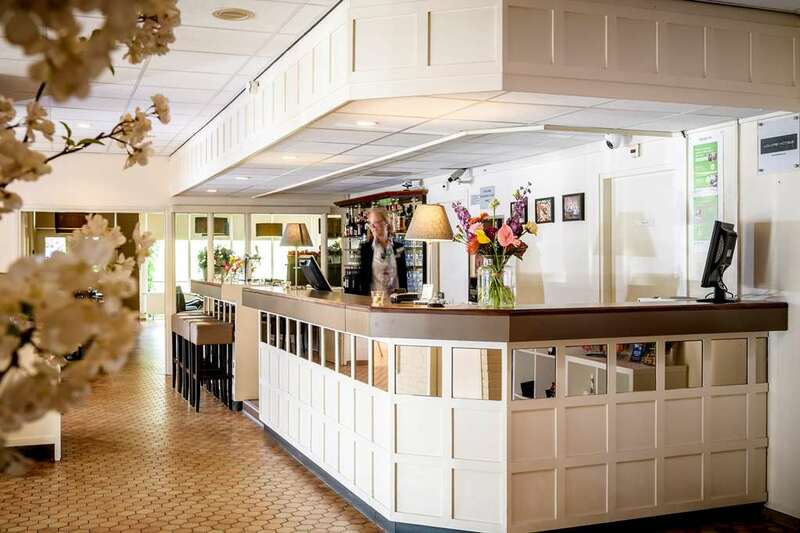 As the centre of Gouda and the train station are just 2 km from Campanile Hotel Gouda, the hotel is ideal for both business guests who are visiting local businesses and for leisure guests who wish to explore Gouda or cycle or walk in the ‘green heart’. 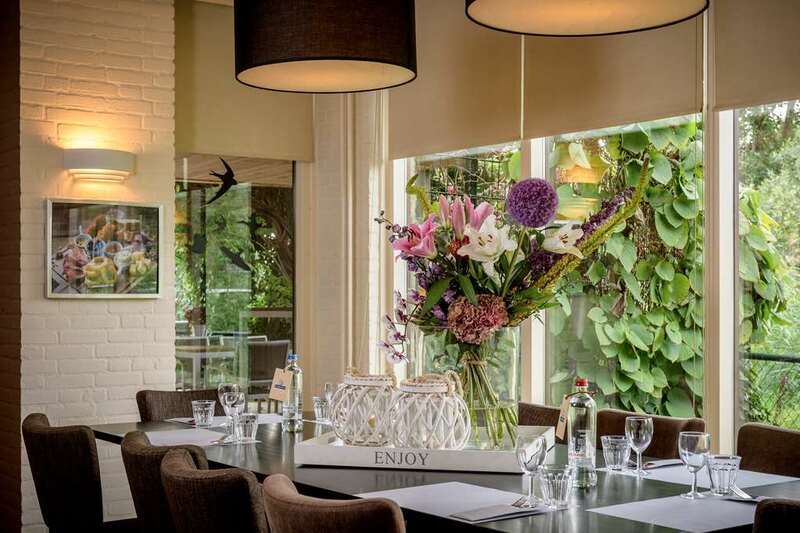 Campanile Hotel Gouda has a conference room measuring 40m². 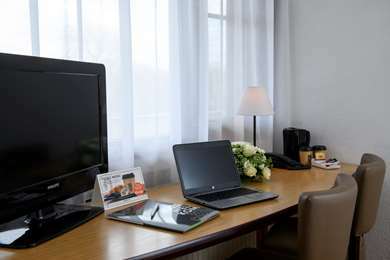 A flip chart, projector and screen can be used in this room. We can also provide a coffee machine, allowing guests to help themselves to tea and coffee. 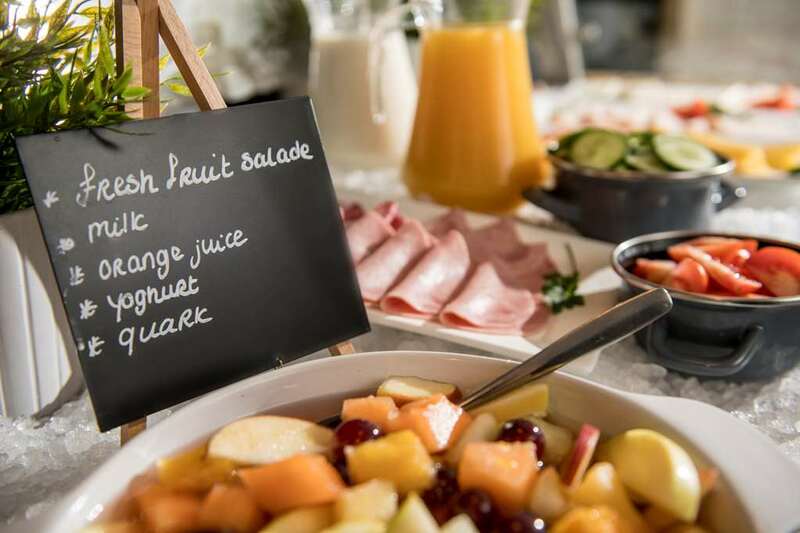 Conference packages can be arranged for groups of 8 or more people and can be expanded to include a luxury lunch buffet, dinner or hotel accommodation. 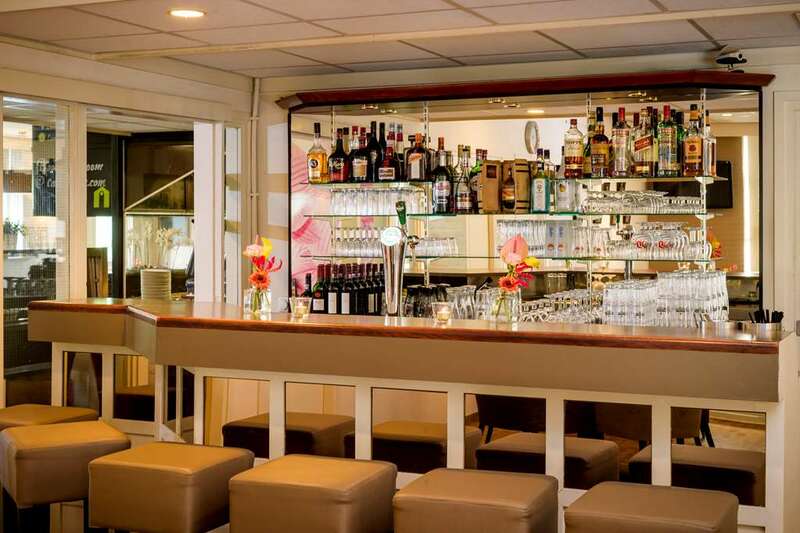 Campanile Hotel Gouda has 78 double rooms, divided into rooms with double beds and rooms with two single beds. 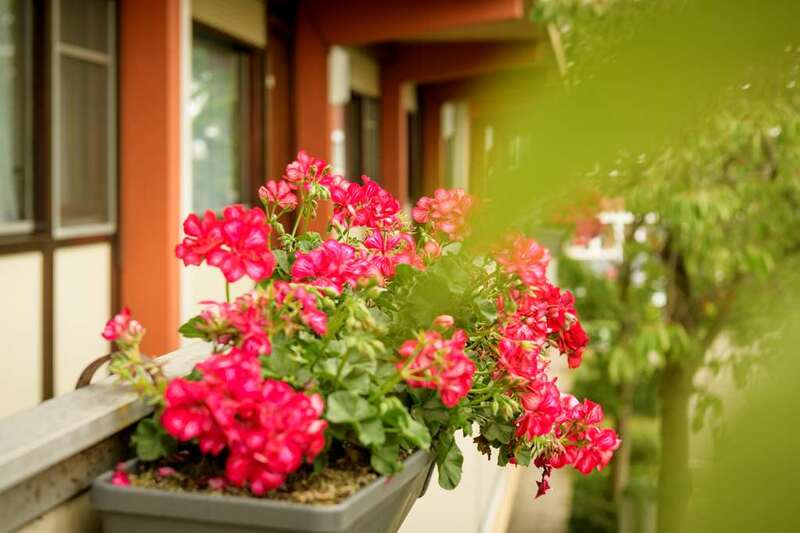 All the rooms have a private bathroom with bath/shower combination, a toilet and washbasin. Each room also has coffee and tea-making facilities. Smoking is not permitted in any of the rooms. 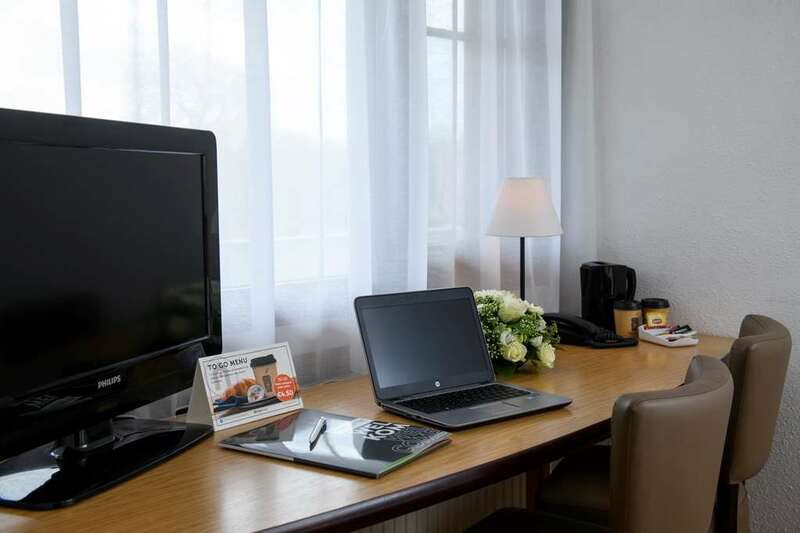 All the rooms have a luxury TV, free Wi-Fi, a telephone and coffee and tea-making facilities. 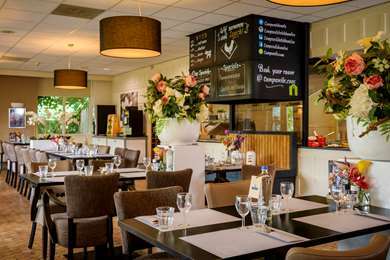 Campanile Hotel Gouda has two rooms for disabled guests. 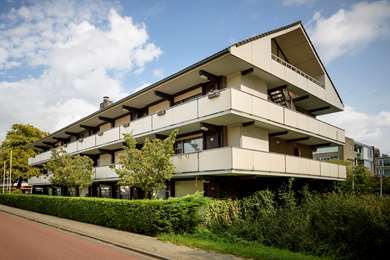 Both the bedroom and the bathroom are wheelchair-accessible in these rooms. 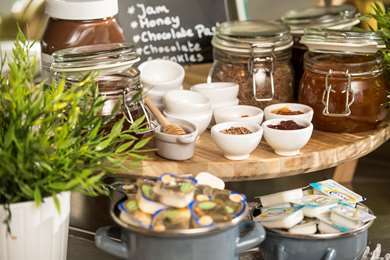 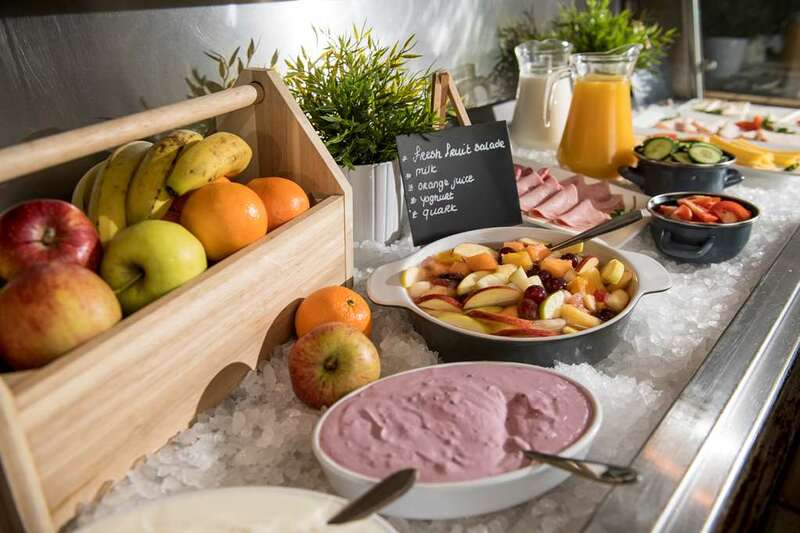 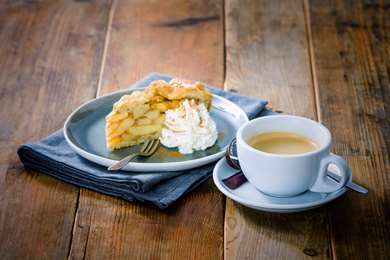 Between 6.30 am and 9.30 am (between 7.00 am and 10.00 am at weekends), you can enjoy a balanced breakfast which includes tea, coffee, fresh fruit juice, cereals, pastries, cheese, meat and yoghurt, and of course our fruit salad. 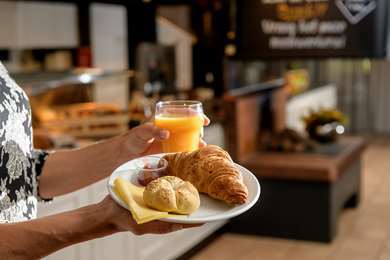 However, we also offer a hot breakfast with eggs cooked just the way you like them. 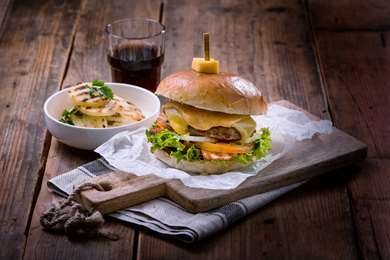 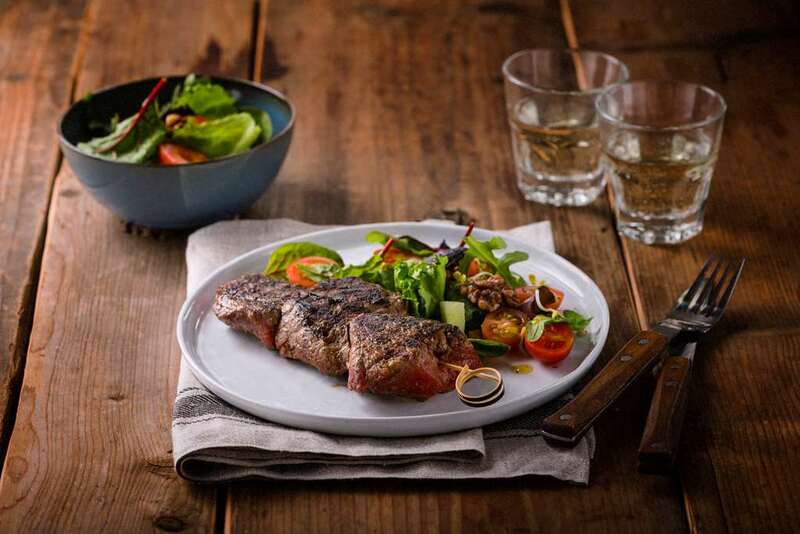 A hearty menu, all year round! 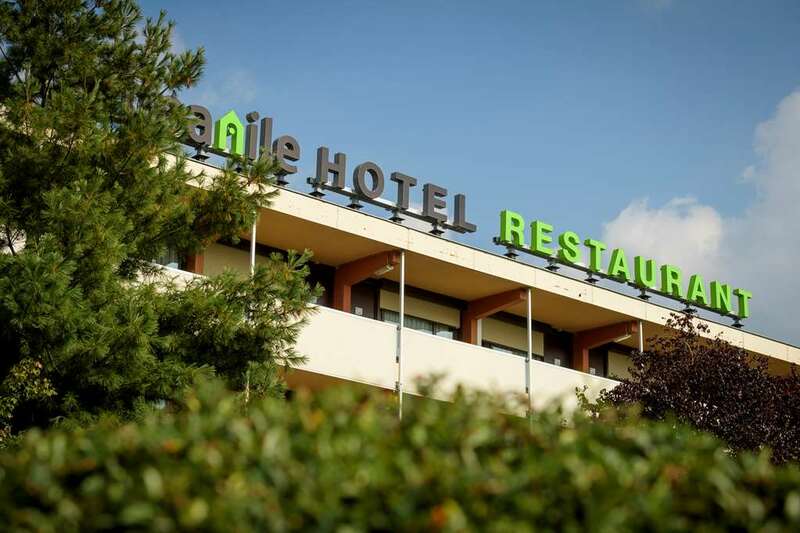 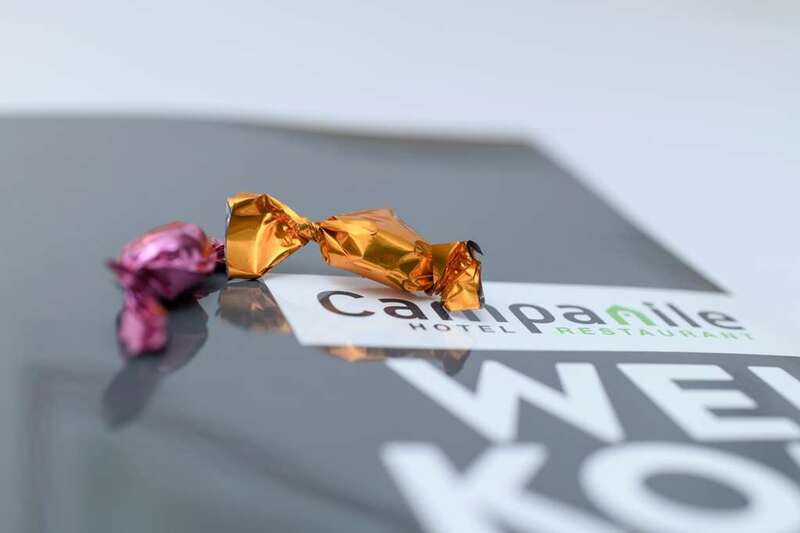 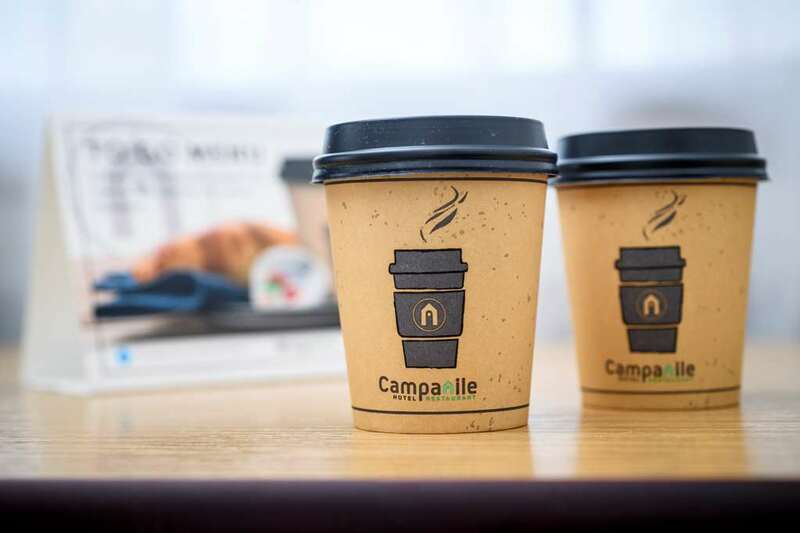 Campanile Hotel has its own restaurant which serves breakfast, lunch and dinner. 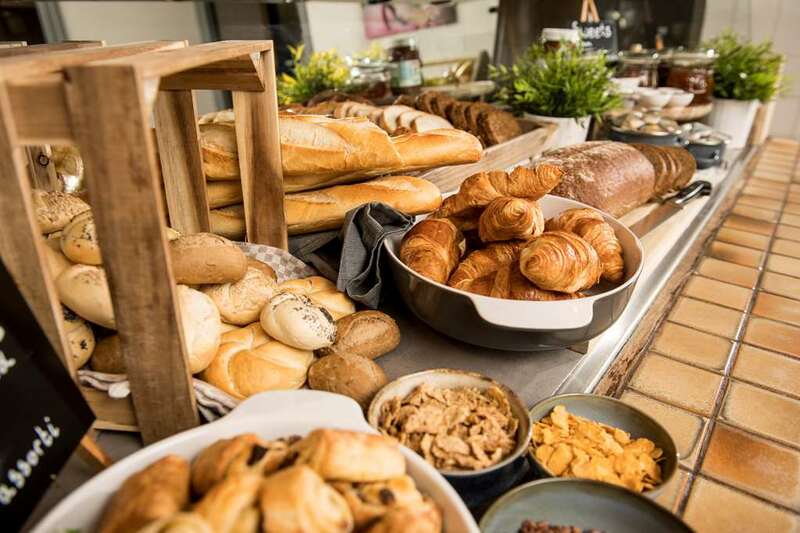 Breakfast takes the form of a luxury breakfast buffet with fresh croissants. 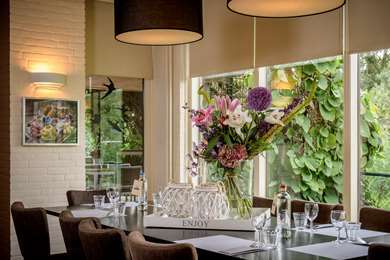 At lunchtime, we offer an à la carte menu, although a lunch buffet can be booked for groups of 10 or more people. 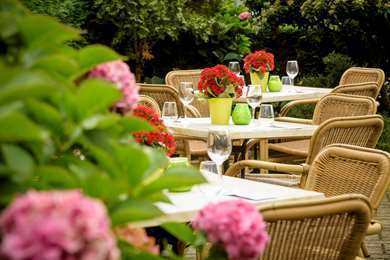 Every evening, you can dine in the restaurant between 6.00 pm and 9.30 pm. 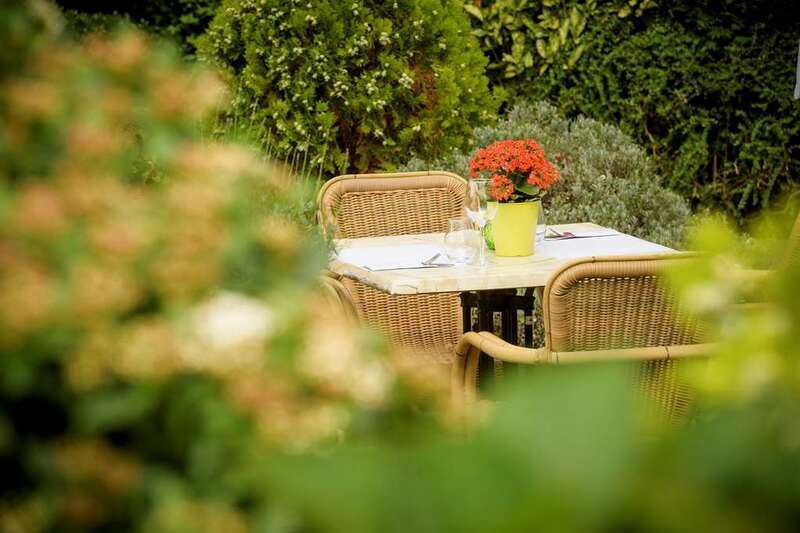 From Monday to Thursday evenings, the kitchen serves delicious à la carte dishes, with a soup and dish of the day which change on a daily basis.